Desert Ice Castle is home to the Desert Blaze Hockey Club and its travel teams. 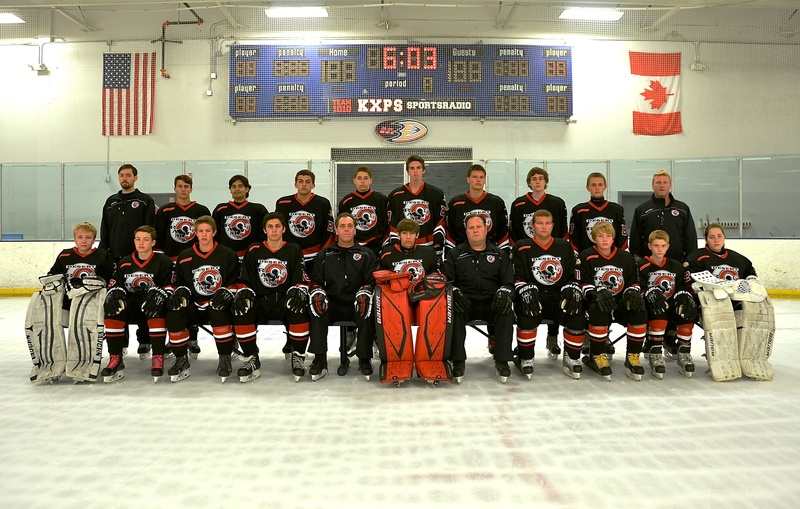 Desert Ice Castle’s In-House Youth Hockey is the continuation of the Beginner Hockey School. This program is designed to develop skating and hockey skills while emphasizing the important of sportsmanship, fair play, team work, and responsibility. The objective is to prepare the player for actual competition. GEAR RENTAL: Desert Ice Castle offers its gear for rent at an additional cost. For players serious in taking their hockey career to the next level, we have just what you need. Improve your hockey skills with power skating and stick handling classes. All players attending should be at least 5 years of age or older. Get extra practice time on the ice to continue practicing your skills! Desert Ice Castle’s In-House Hockey Program is a beginner program that is offered to any first time players ages 3 and up. You have learned the basics of ice skating, now what? In Desert Ice Castle’s In-House Hockey Program, students are taught the fundamentals of the sport of hockey. Our dedicated coaching staff teaches skaters the basics of the sport, emphasizing on skills necessary for this particular activity, and preparing them for the next step! STICK TIME: Get extra time on the ice to continue practicing your skills! Desert Ice Castle offers Power Skating & Stick Handling training for a half hour each class. Cost is $15.00 per class, or $25 if you do both. *Please be sure to check the calendar below for any changes, due to games, tournaments, etc. Hockey requires powerful skating ability and puck-handling skills. We have an amazing coaching staff that care about your future and hockey, and will teach you just what you need to become a better player. You will have fun by learning as you go along. For players serious in taking their hockey career to the highest levels (junior, college, pro, etc. ), we have just what you need, and it goes far beyond the regular clinics. All players attending should be at least 5 or older, playing a higher level of hockey, and have higher skating skills.